Curation is a relatively new term in journalism, but the practice is as old as journalism itself. Every act of journalism is an act of curation: think of how a news report or feature selects and combines elements from a range of sources (first hand sources, background facts, first or second hand colour). Not only that: every act of publishing is, too: selecting and combining different types of content to ensure a news or content ‘mix’. Amazon’s Jeff Bezos’ in his talk to employees at the Washington Post said: “People will buy a package … they will not pay for a story.” Previously that package was limited to what your staff produced, and wire copy. But as more content becomes digitised, it is possible to combine more content from a wider variety of sources in a range of media – and on any one of a number of platforms. Curation is nothing new – but it is becoming harder. Curation as distribution or relay: this is curation at the platform level: think of Twitter accounts that relay the most useful links and tweets from elsewhere. Or Tumblr blogs that pass on the best images, video and quotes. Or UsVsTh3m. Curation as aggregation or combination: seen in linkblogging and news roundups, or galleries, or news aggregators (even creating an algorithm or filter is a journalistic act of selection). 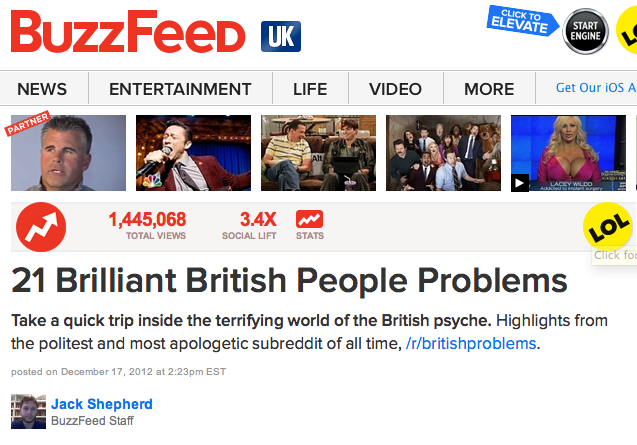 Curation as filter or distillation: this often comes in the form of the list: Buzzfeed is a master of these, distilling conversations from Reddit and complementing them with images. This entry was posted in online journalism and tagged audioboo, blogrolls, BuzzFeed, CueYouTube, curation, Dipity, Flickr pools, Flipboard magazines, Ink361, Instagram, Kevin Sablan, last.fm, Meograph, Netvibes, Pinterest, reddit, slideshows, Soundcloud, Spotify, storify, tumblr, twitter lists, vuvox, youtube, Youtube playlists on September 30, 2013 by Paul Bradshaw.